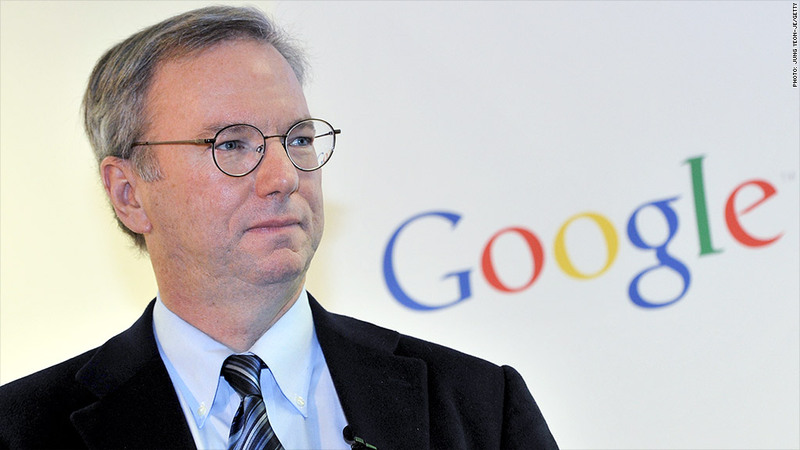 Alphabet Chairman and former Google CEO Eric Schmidt is heading up a new effort to make the Pentagon more tech savvy. Secretary of Defense Ashton Carton on Wednesday appointed Schmidt the head of a new Defense Innovation Advisory Board, which will help the Pentagon keep up with the latest Silicon Valley ideas and apply them at the Department of Defense. The board will address problems in the way the Pentagon uses technology, and it will be tasked with offering "quick solutions." Schmidt's group will have no access to information about military operations strategy. Schmidt will oversee a group of up to 11 other board members, who also have led large private companies and public organizations. Carter said Schmidt has a "unique perspective on the latest practices in harnessing and encouraging innovation." Schmidt had been a powerful advocate and confidant of President Obama in the early days of his administration. But Schmidt and the White House have had a more fractious relationship in recent years. The FTC very nearly sued Google for antitrust violations in 2013 after a a hard-fought behind the scenes battle. Schmidt and Google have been strong opponents to the administration's policies on data collection, and Alphabet (GOOGL) is expected to file a brief supporting Apple in its fight against the FBI's encryption unlocking demands. Yet Schmidt remained in Obama's good graces, often appearing at technology leader summits -- and now chairing a Pentagon innovation board. Also Wednesday, the Pentagon announced a "Hack the Pentagon" bug bounty program, which will pay hackers who discover vulnerabilities in the Department of Defense's systems. Bug bounties are a commonly used tool in Silicon Valley to help companies discover vulnerabilities before they're exploited by bad actors. The Pentagon said its bug bounty would be done in a "controlled environment," and the hackers would be vetted first. The Defense Department frequently attempts to recruit hackers to help it combat attackers and fight battles in cyberspace.